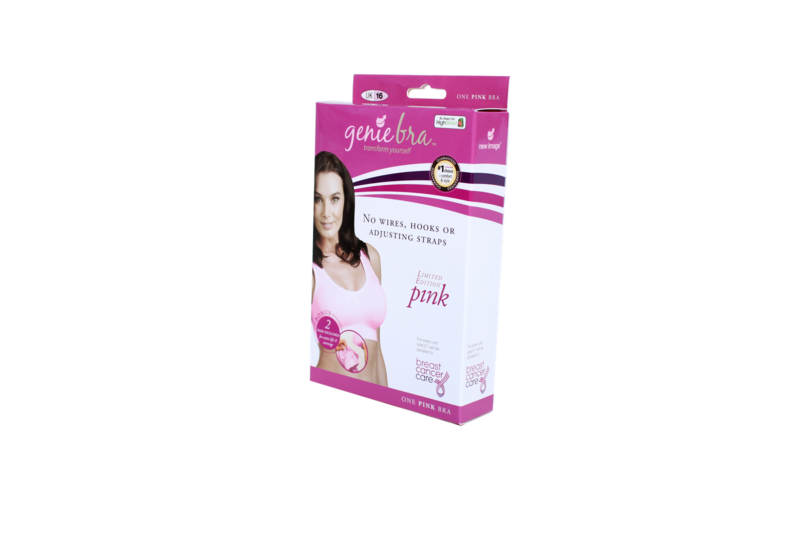 In a special pink shade, New Image Genie Bra will be encouraging women all over the country to wear this amazing charity bra for comfort and ultimate support. 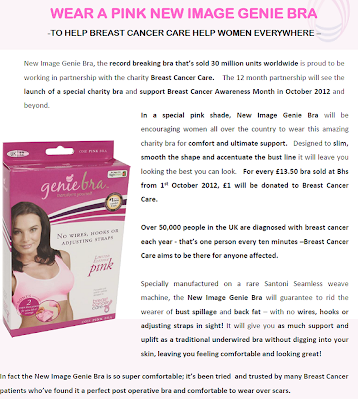 Designed to slim, smooth the shape and accentuate the bust line it will leave you looking the best you can look. For every £13.50 bra sold at Bhs from 1st October 2012, £1 will be donated to Breast Cancer Care. 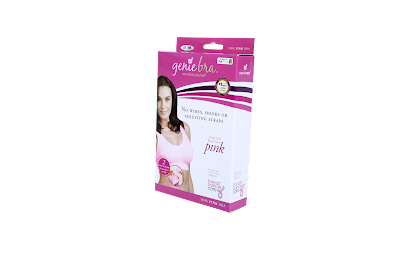 Tried and trusted by many Breast Cancer patients who've found it a perfect post operative bra and comfortable to wear over scars.